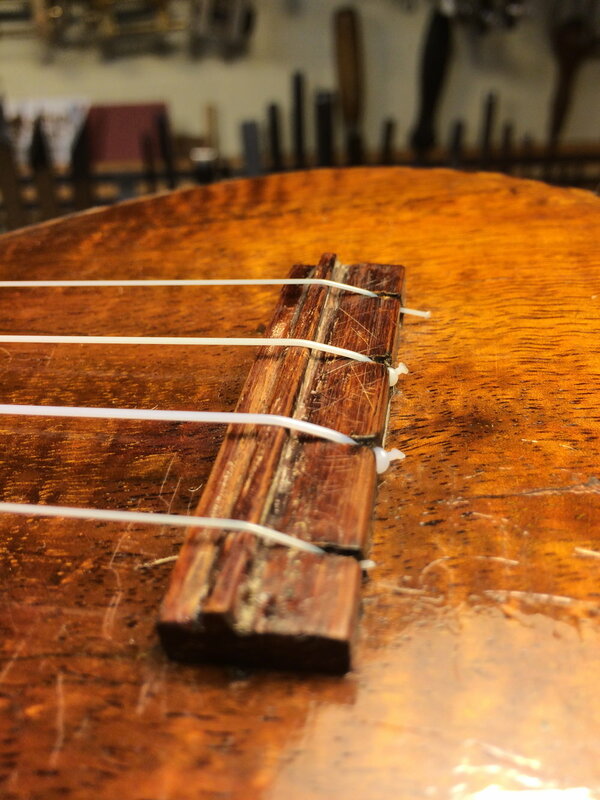 Top cracks repaired with hot hide glue, ready for some french polishing. 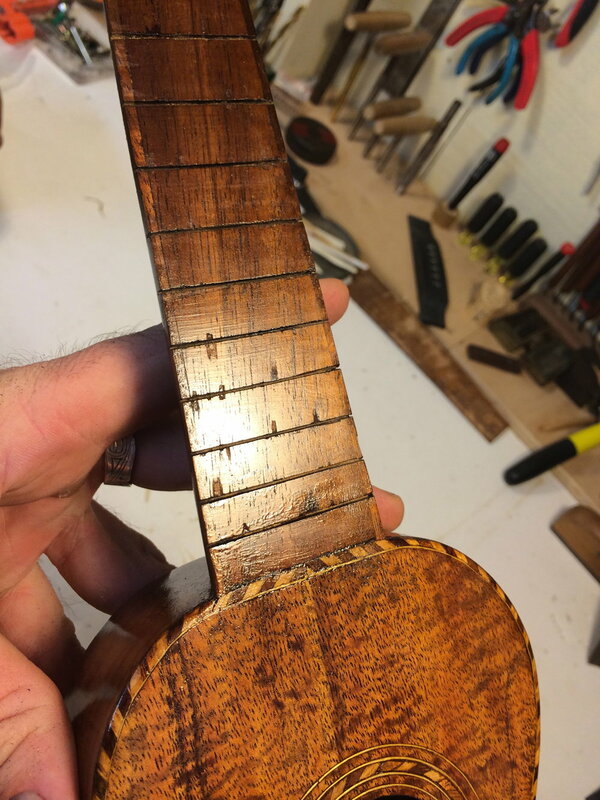 These early ukes often had light finish over the fingerboard, These little chipouts are going to disappear. 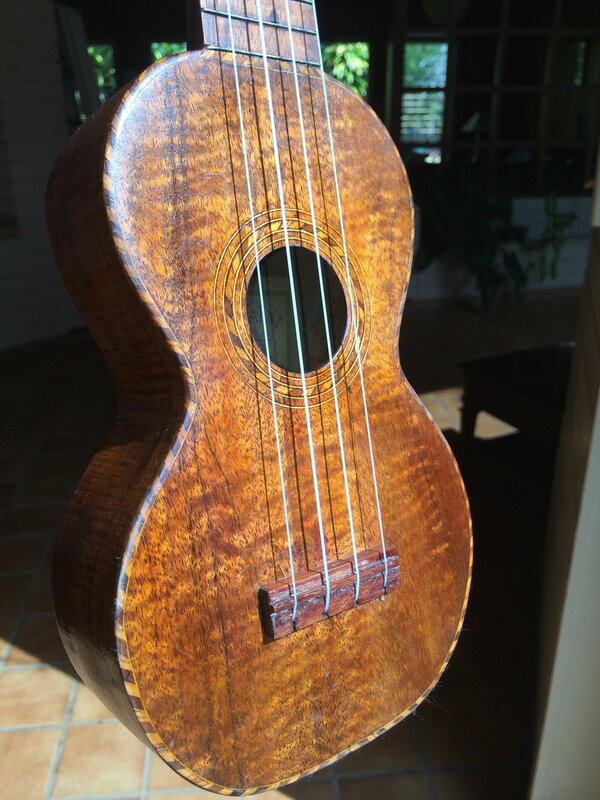 An antiqued finish to match the rest of the ukulele, which is in surprisingly good condition. Not quite there, still to new looking. There are many abrasives and tricks to age a new finish, one of the best: Brown paper bags from the grocery store! 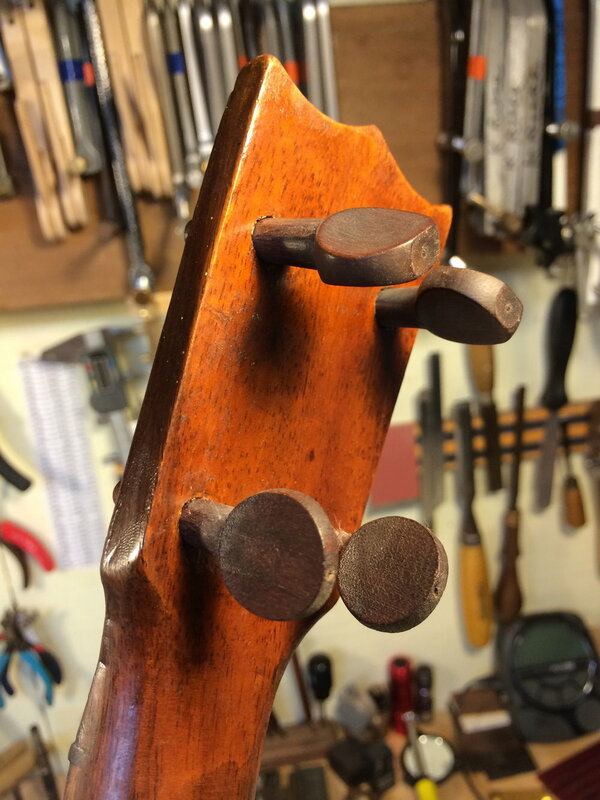 Another thing Im happy I saved, an old set of bar frets. A more correct patina for an old fella like this. 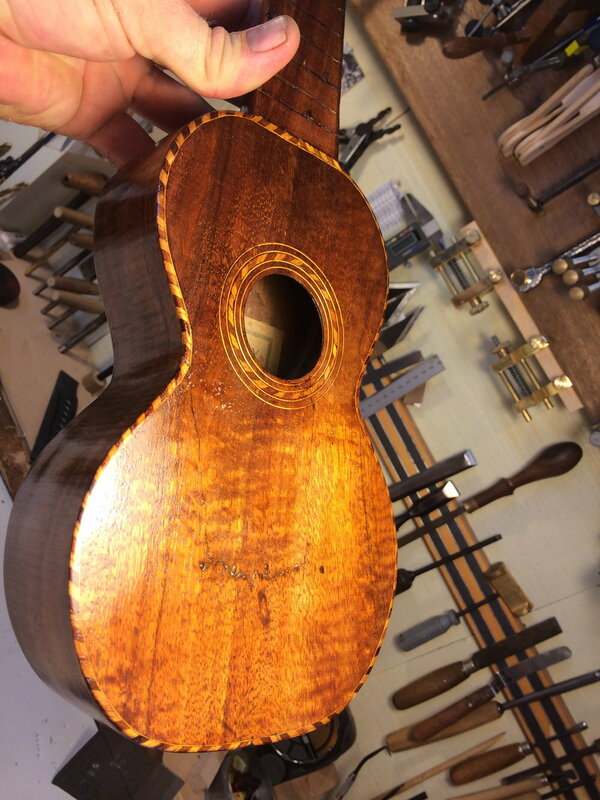 Hand made Ohia replacement keys. My take on what an original style Nunes bridge would look like at this point. Strung up in the Hawaiian sun! These old decals really cant be beat! With the Ko'olau mountains again!